Getting a haircut can be so relaxing – the scalp massage, the conversation focused on yourself, the birds tweeting in the garden? Jerry’s Underground Garden Salon is an idyll in a rather unexpected place: 19 Tufts St., right off McGrath and down the street from a major environmental cleanup site. 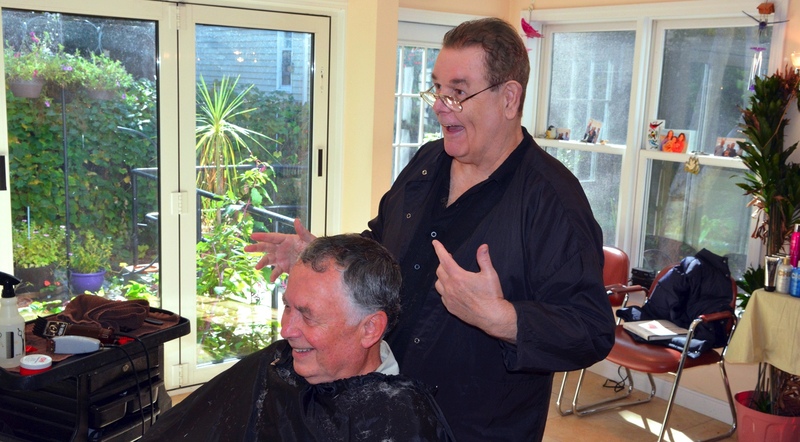 Stylist and birder Jerry Lauretano used to cut hair in Harvard Square before moving operations back to his own sanctuary. It is, in fact, the first hair salon in the United States to be named a National Wildlife Federationâ€“certified wildlife habitat, boasting (as the sign out front says) “food, water, cover, and places to raise young.” Bird feeders overhang a mulched side yard from the branches of a majestic tree. The salon’s patio is surrounded by coral honeysuckle. A little painted birdhouse sits on a side stoop. Above it sits an enormously fat pigeon. Well, they’re birds too.